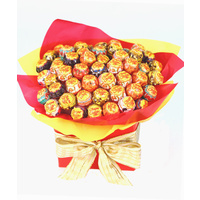 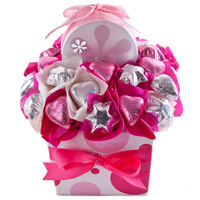 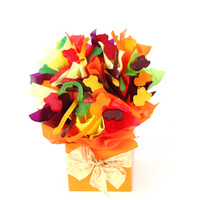 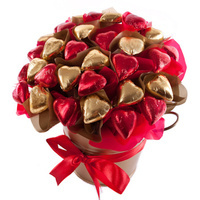 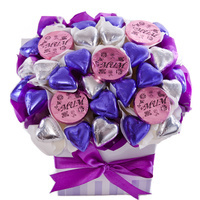 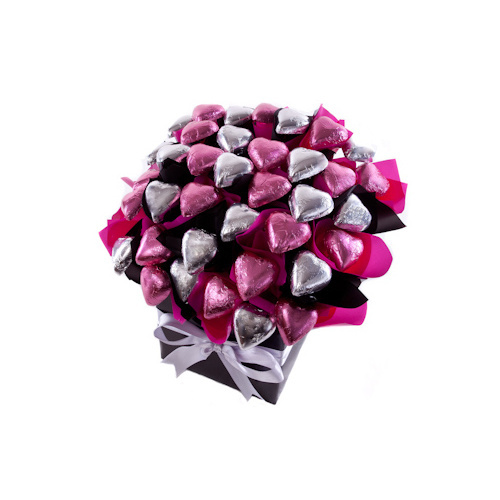 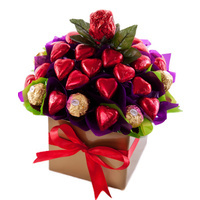 A beautiful chocolate bouquet full of creamy hearts! 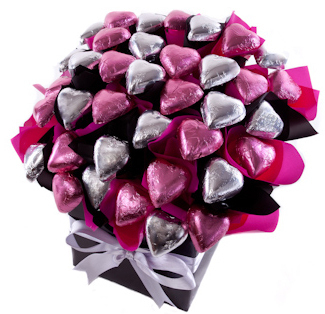 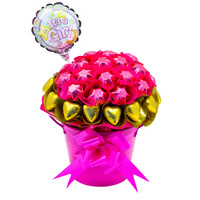 A striking arrangement of pink and silver hearts. 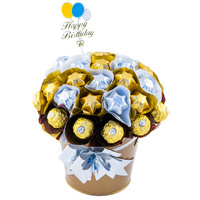 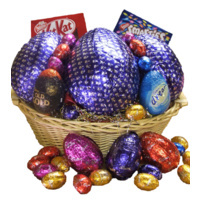 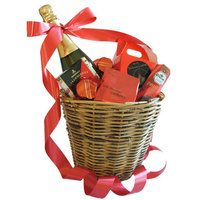 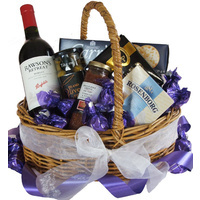 Striking and gorgeous, this chocolate arrangement will long be remembered.